The deadly Ebola virus - currently the cause of an epidemic that's claimed an estimated 1,400 human lives in West Africa - can also devastate great ape populations. 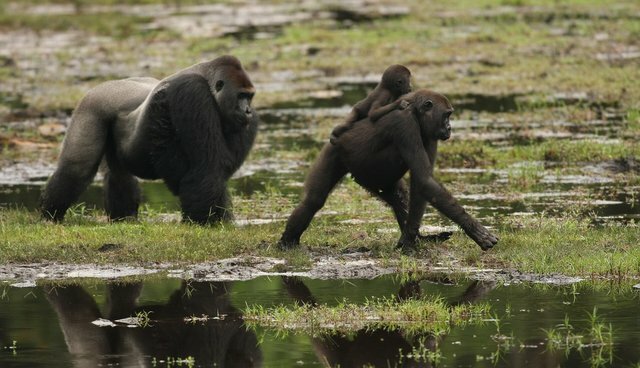 Between 2003 and 2004, Ebola spread through gorilla groups living in Odzala-Kokoua National Park in the Republic of the Congo, causing what primatologists called a "demographic crash." Of roughly 380 gorillas living in the Lokoué forest area, only 40 survived. But life is slowly returning to normal for the survivors, a new study in the Journal of Animal Ecology shows. Six years after the crash, despite high competition for the females who remain, gorillas are once again forming breeding groups. "This means that there is a chance the population recovers," says Damien Caillaud, a primatologist at the Dian Fossey Gorilla Fund International who was not involved in the study, in an email to The Dodo. There's still a long road ahead for these primates, however, as female gorillas wait five years between births to reproduce again. "In the best conditions, it will take at least 50 years for the population to fully recover," Caillaud says. "The only positive news is that it is highly unlikely that Ebola will strike again, because the gorilla density is now too low to allow Ebola to get transmitted between groups and affected an entire population." 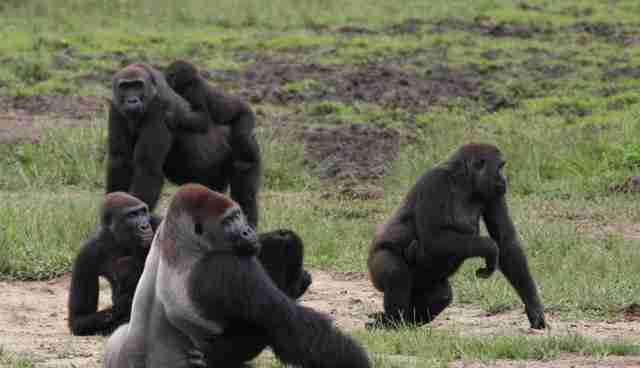 Breeding gorillas live in troops made up of females, young blackback males and an adult male silverback. During the outbreak, however, blackbacks were more likely to live alone. It's not as if these young gorillas actively chose this lifestyle to escape the disease, says Céline Genton, a study author and conservation biologist at the University of Rennes in France. Instead, if a silverback gorilla perishes from Ebola (or other causes), his group disbands. From a platform in a jungle clearing, Genton and her colleagues monitored the impact and aftermath of the Ebola outbreak, identifying specific gorillas by nostrils, wrinkles, scars and other body patterns. There was a surge in the formation of breeding groups among survivors, the researchers saw, after the disease had passed. This suggests "a certain resilience in the response to disruption," the authors write. Because the 2014 Ebola epidemic is centered in West Africa, it hasn't affected gorillas. But, Genton points out, this is the first time the Ebola-Zaïre strain of the disease has caused an epidemic outside of Central Africa, where gorillas live. This new outbreak may allow the scientific community to obtain new information about the way this virus emerges, Genton says. "We can only hope that these conditions will not [be present in] Central Africa in the future." Scientists have developed a potential Ebola vaccine for chimpanzees, although the BBC reports that testing this vaccine in a chimp sanctuary would require a change to U.S. legislation. And administering the vaccine to wild apes also presents a logistical challenge. Conservationists wouldn't be so concerned about gorillas catching Ebola, according to Caillaud, if the great apes weren't already threatened by human activities. "It's the combination of bushmeat hunting, habitat destruction and Ebola that is driving western gorillas to extinction," he says. "Let's focus on what we can effectively do: control logging activities, fight the bushmeat trade. If we do this well, Ebola won't be a major concern anymore."